Marc Marquez sealed an astonishing fifth MotoGP World Championship title in just six years racing at the elite level of motorbikes with his eighth race win of 2018 in Japan on Sunday. 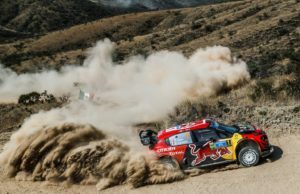 But he bided his time behind the Italian after qualifying sixth. 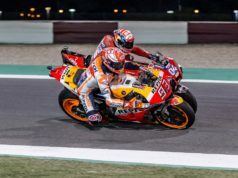 The duo engaged in an intriguing game of cat and mouse before the Repsol Honda rider finally made his move on the Ducati with three laps to go for the lead. Dovizioso was not content to let Marquez race clear, however, his title bid came to an end soon after when he pushed too hard and slid off – eventually finishing 18th. 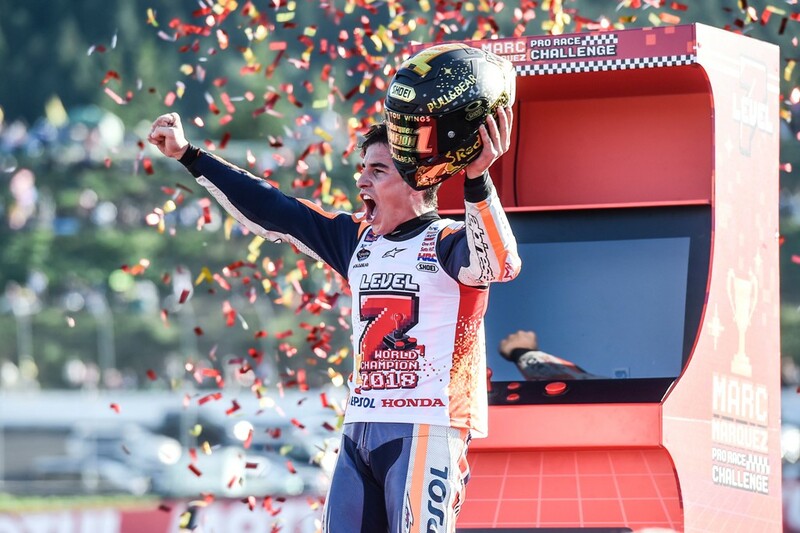 His Spanish rival duly held his nerve to win – his third premier class title triumph in his team Honda’s backyard – with Briton Cal Crutchlow second, Spain’s Alex Rinsthird and Italian Valentino Rossi fourth. 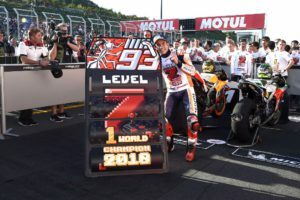 Marquez joins Australian Mick Doohan on five titles in the all-time 500cc/MotoGP standings – both solely on Honda bikes – but still remains behind legend Rossi’s mark of seven and Giacomo Agostini’s record of eight. 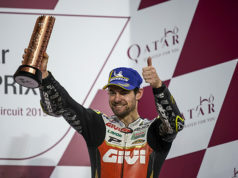 It is also his seventh world title overall after winning the 2010 125cc and 2012 Moto2 crowns. Here are the results from a dramatic #MotoGP race in Motegi ?